This book is one I will never forget for personal reasons. I was pregnant and lost my baby and was in depression for quite some time. Books have always been my solace (before Facebook came along!) and one day as I was browsing in a book shop I came across this book. 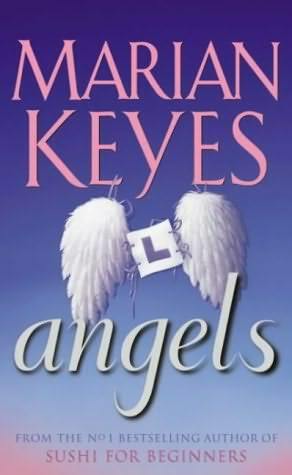 I had never heard of Marian Keyes – in fact I didn’t even note who had written the book. All I saw were wings of an angel with an ‘L’ plate and I thought it was some kind of sign from above that I ought to read this book and maybe glean something from it to help me heal from my loss. So the story is about Maggie Walsh (Garvan) who was a happily married woman, married to Paul Garvan for many years, when she suddenly realizes that they weren’t really as happy as she thought. Told in a somewhat sarcastic/light hearted tone of voice, Maggie goes over the events that led to the ultimate low point of their marriage, and why she finally left him. Maggie, who is usually conservative by nature shocks everyone by announcing she is going to Los Angeles to live there for a month with one of her best friends, Emily. Maggie’s stay in Southern California is one of the craziest times of her life. She parties, she meets new men, she lies out on the beach, and she slowly forgets about Garv, sort of. In the mean time, she finds out how much fun she can have while being single, but it doesn’t last. In the mean time, Emily is working on that very important movie script, and it’s her last chance at a life in Hollywood. And when Maggie’s family decides to take advantage of the situation and come down to Southern California for an impromptu vacation, things really get funny. Yup… I’d read this one again. Previous You’ve got 20 seconds to comply!